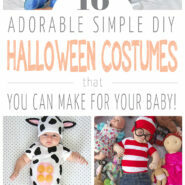 Looking for some inspiration for adorable baby costumes for Halloween this year? 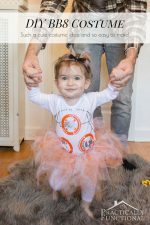 It can be super easy to create awesome DIY baby Halloween costumes at home; just check out these great ideas! I mean, isn’t that the cutest thing you have ever seen?! 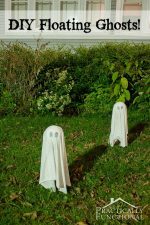 If you’re looking for a sweet, adorable baby costume that’s all “wow!” try this friendly ghost idea! See the full instructions on Do It Yourself Divas. 2. Make this picture-perfect panda bear costume from a onesie! 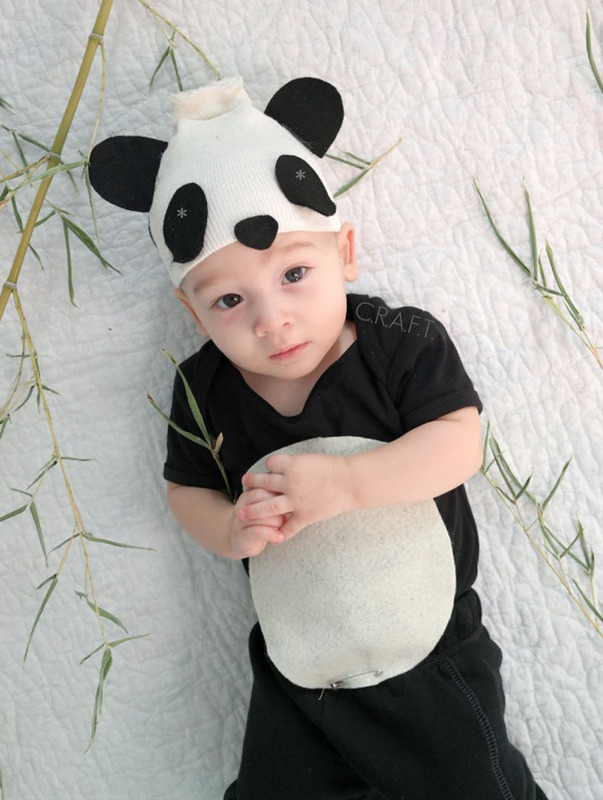 This cutesy panda bear costume makes a wonderful, cute, and cuddly look for your little one to show off and be adorable in for Halloween. And so easy to make! See the full instructions on C.R.A.F.T. 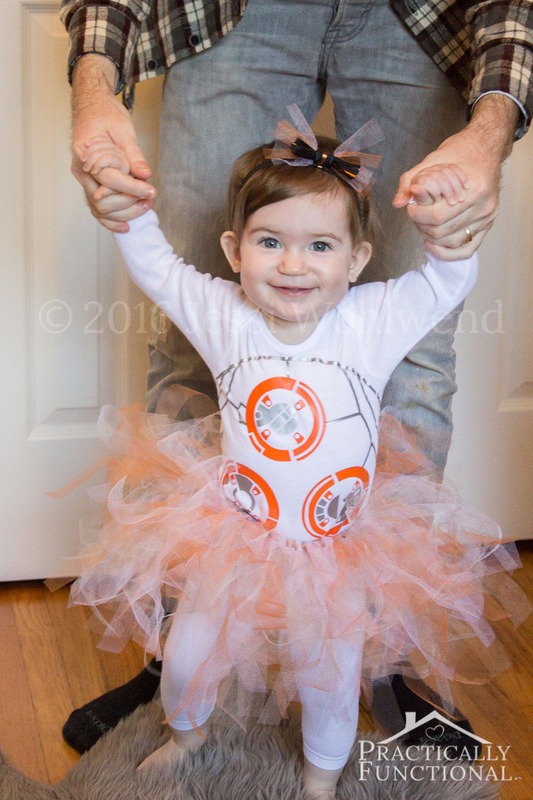 This little BB-8 costume is actually quite simple to put together and will look adorable on your baby. The no-sew tutu and a quick no-sew headband are a plus! You could even make a Finn and Rey costume to make it a whole family affair! 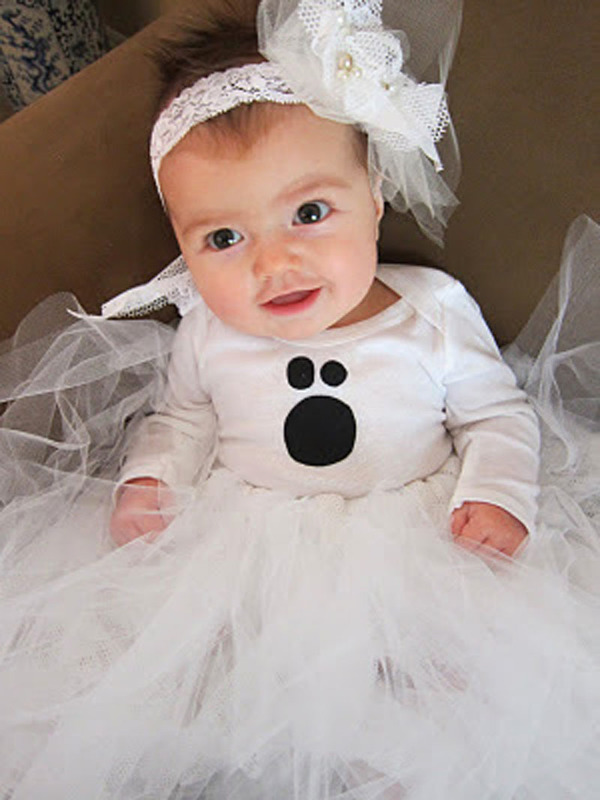 Make their first Halloween a very memorable one by styling them with this bear-y adorable look. Look at this! 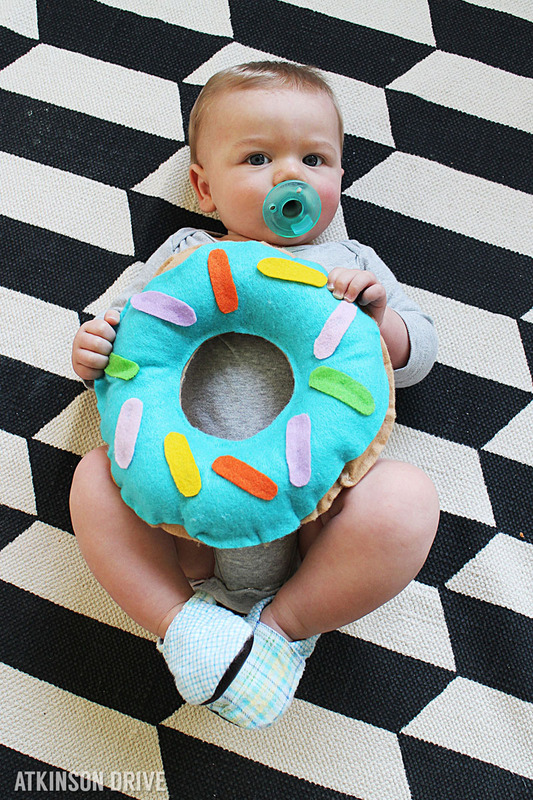 We could just eat this little donut up. Make it a fun family theme by matching this costume to an adult version or add a cup of coffee to yours. See the full instructions on Atkinson Drive. 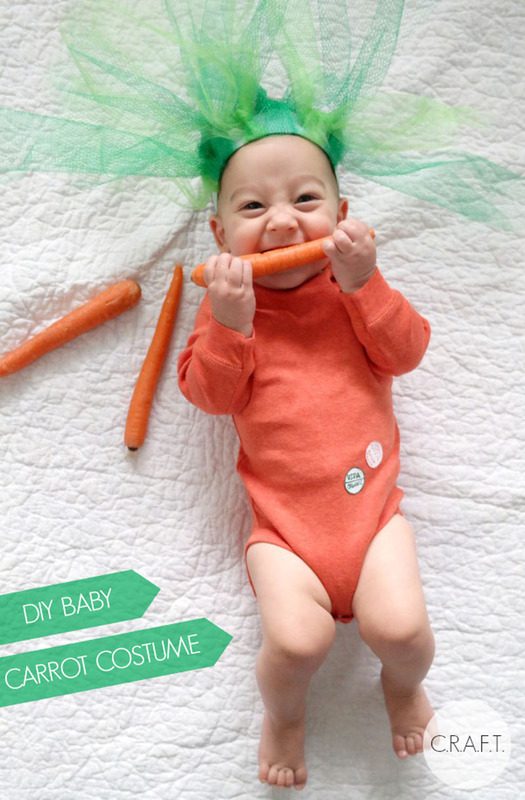 This oh-so-cute lil’ carrot costume and hat is full of vitamin A — for Adorable! Halloween may be a perfect time to teach your child the importance of eating their veggies. 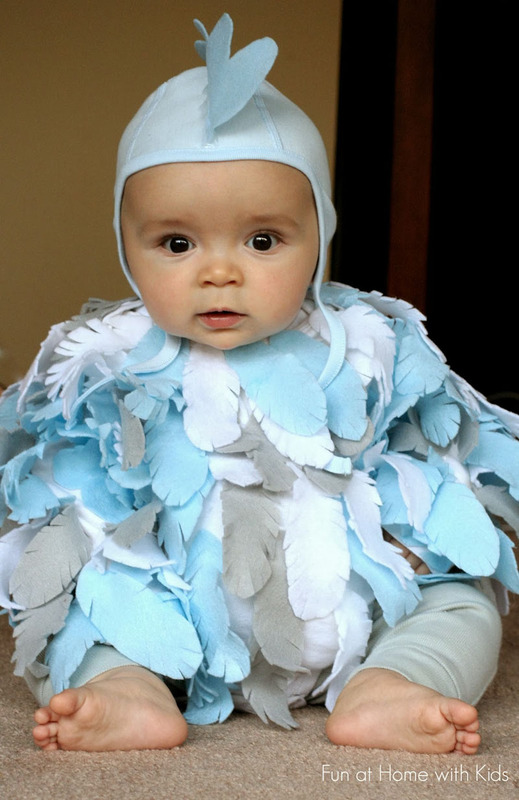 A first costume should be as cute and cuddly as the wearer. And one made of soft, felt feathers will be just that. See the full instructions on Fun at Home With Kids. 8. Get your little princess ready for a magical night under the sea! 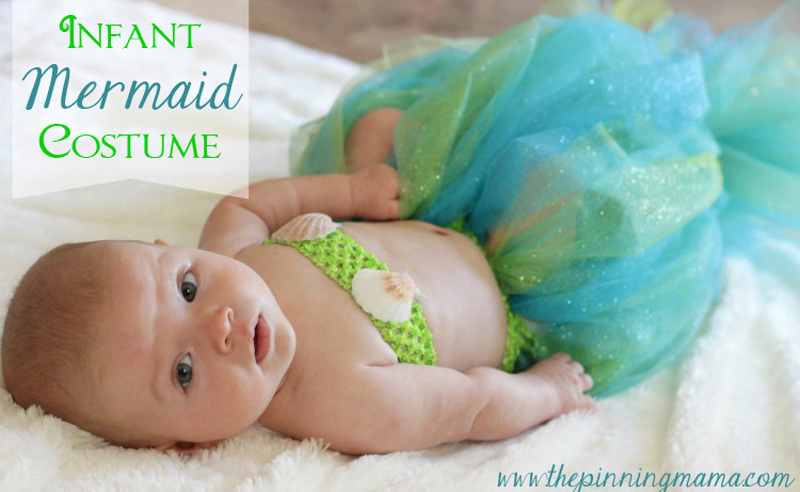 Full of oceanic appeal, this mermaid costume keeps your baby swimming in cute design and comfort. The tail is so easy to make; you just need elastic, strips of tulle, and shells. 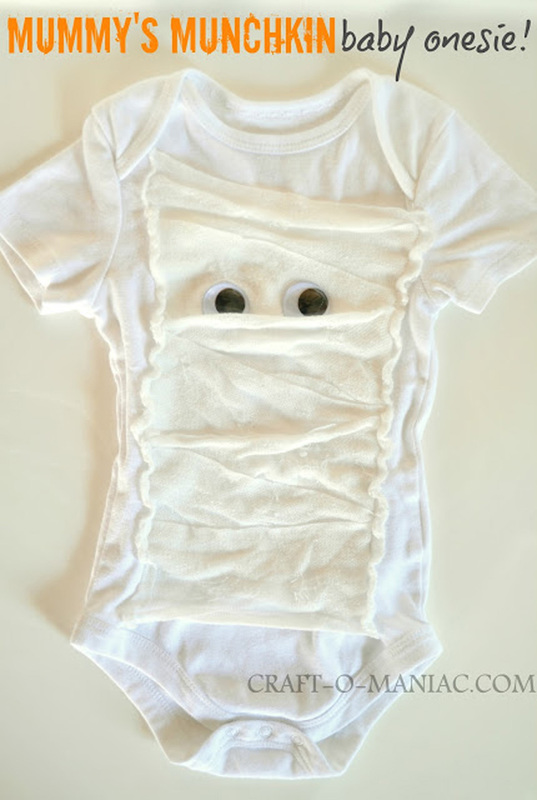 What’s the perfect way to complement your mummy costume? It’s to have your baby wearing an adorable matching outfit, of course! Your tiny little mummy can stay ultra-cozy and warm while dressing up. This is the perfect last minute costume. See the full instructions on Craft-O-Maniac. If you’re in need of a little inspiration, you may want to take a quick look through their bedtime books. 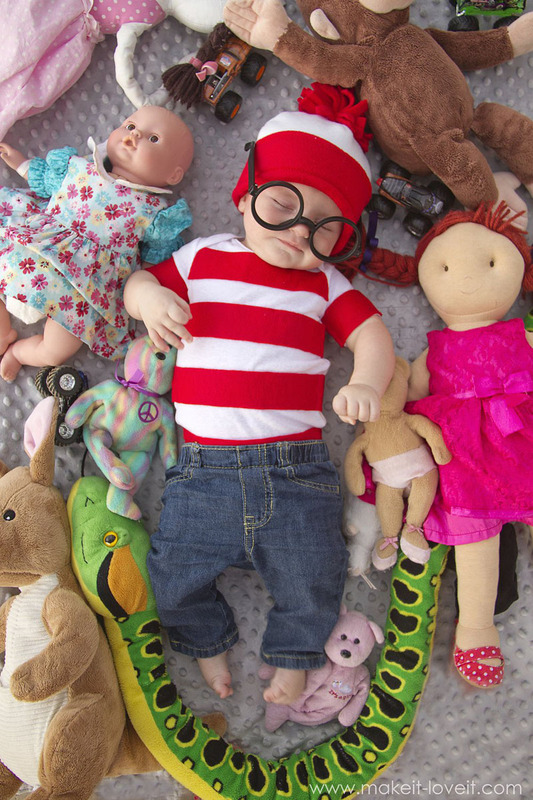 Waldo is everyone’s favorite striped hero. Looks like this will be so fun to put together! See the full instructions on Make It and Love It. 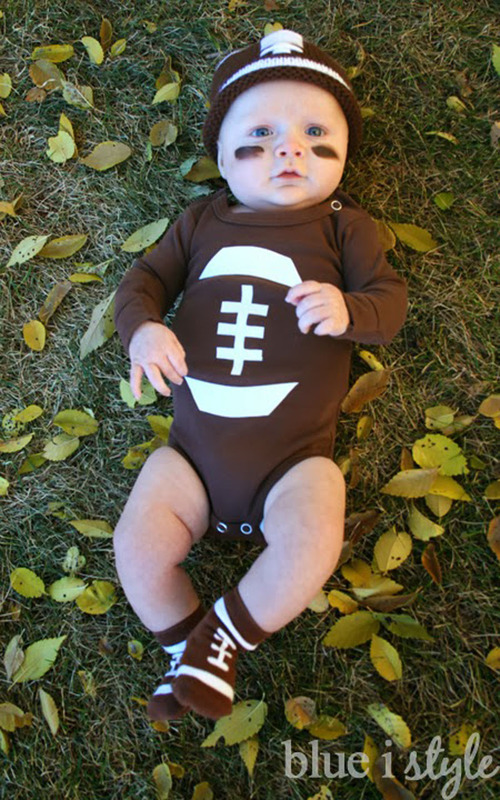 If you’ve got one big kid and one small and the eldest is into sports, then this costume is just perfect! See the full instructions on Blue i Style Blog. Imagine your baby sporting piña colada? Fruit costumes are a hit at every Halloween event. 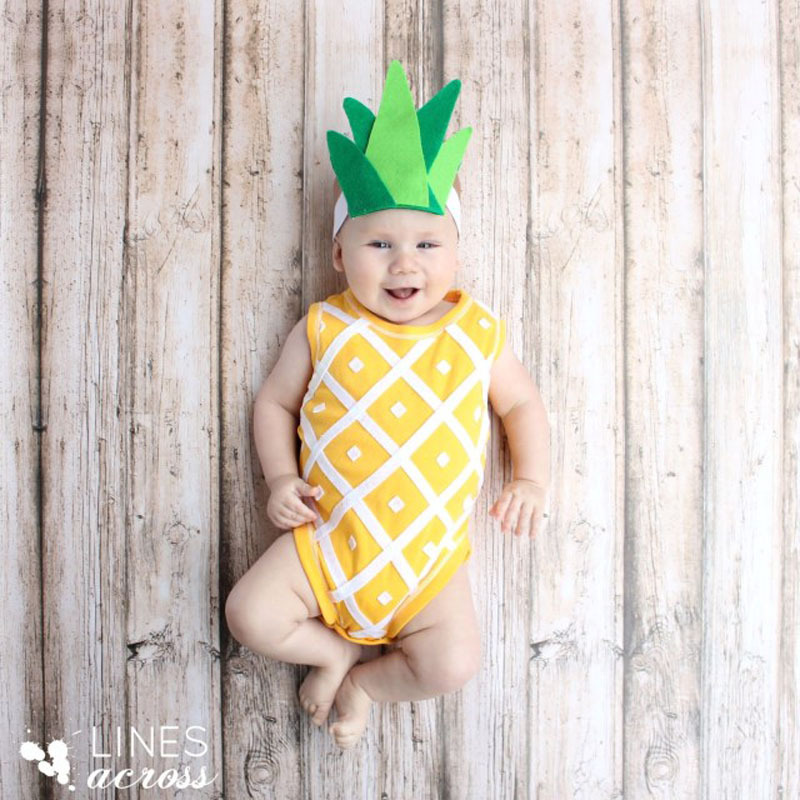 So go tropical with this pineapple baby costume! 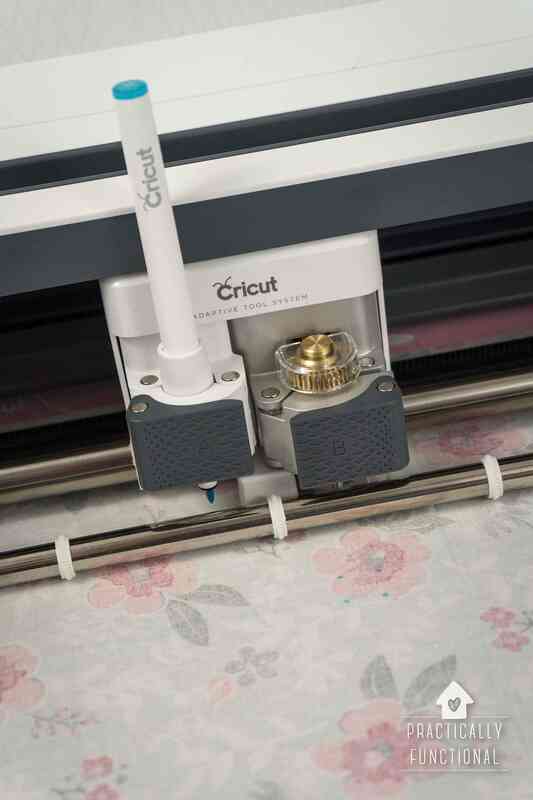 See the full instructions on Lines Across. If you’re looking for a group costume idea, get your whole family to be fish, mermaids, and scuba divers. And don’t you just love the eyes on this DIY fish costume? It’s made with stretchable headband and a styrofoam ball. 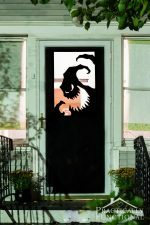 See the full instructions on See Vanessa Craft. 14. This easy to make octopus costume won’t be tricky, but a treat! 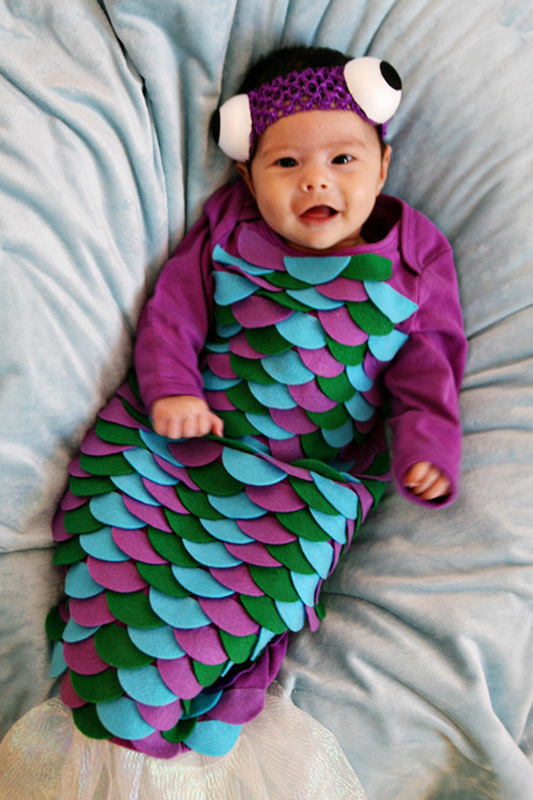 This sea creature costume is just pure genius! Your baby will love playing with the colored legs which are made from fabric and stuffing. 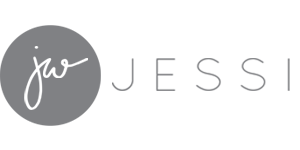 See the full instructions on Taylor Made. 15. 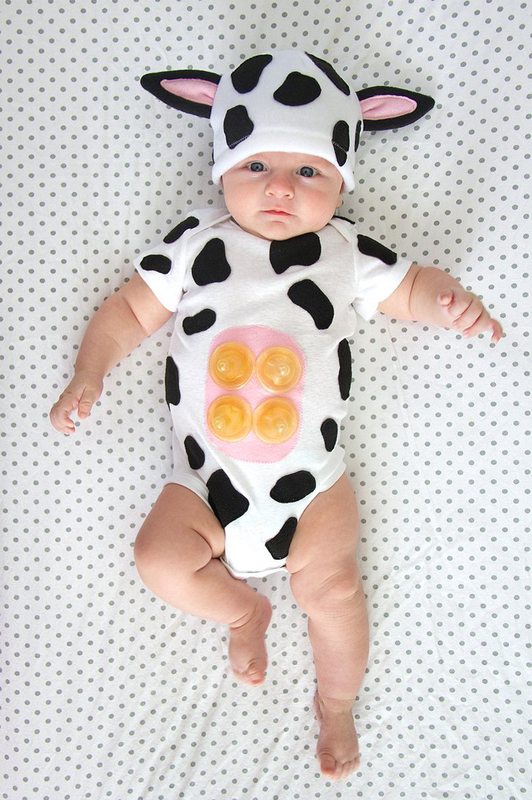 This cow baby costume is udder-ly cute and cozy! Whoever says cows aren’t cute hasn’t seen this adorable costume. Just one look at this cow baby will melt even the toughest of hearts! 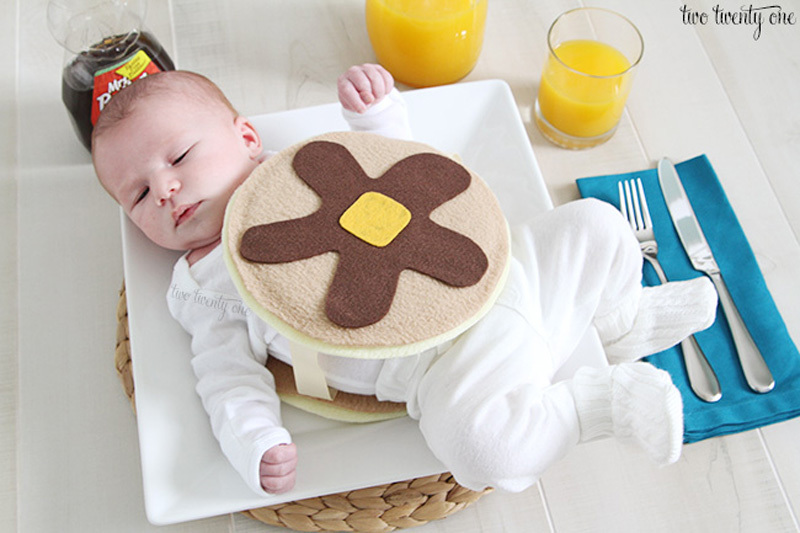 In keeping with the food-costume theme, now you can actually dress up your baby with the breakfast your family always eats with this funny stacked pancakes costume! See the full instructions on Two Twenty One. 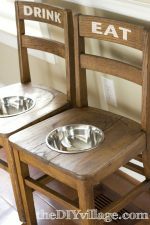 10 Great DIY Projects Anyone Can Do! « 13 Amazing Pumpkin Projects and Recipes For Fall! OMG!! 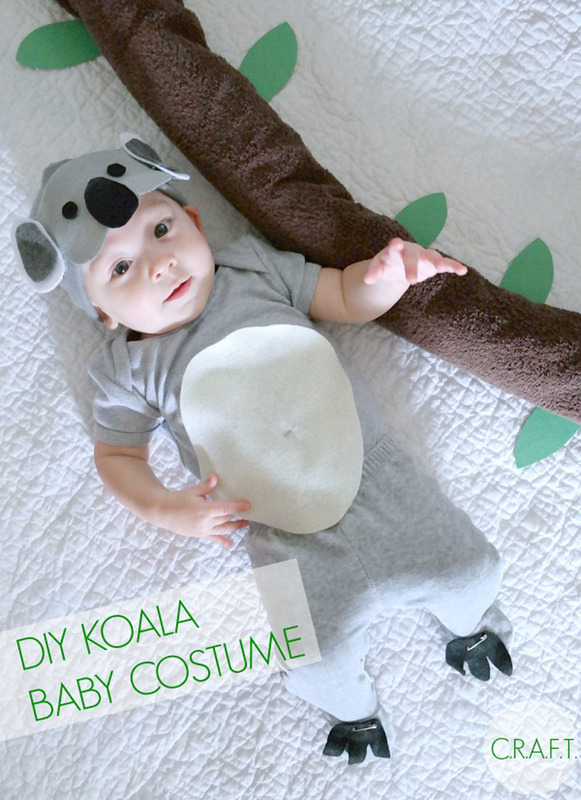 The Koala Costume looks so adorable. Love it so much! !